Game Genie SNES Super Nintendo Game Cartridge Cleaned Tested and Guaranteed to Work! If you want to go far than get this to play your super Nintendo games. Using this allows me to finish games, get extra lives and get more super powers. You will need the codes to play. Love this. Great buy. I would give five stars, but I had to give the Game Genie I purchased a good cleaning before it would work. After I the cleaning it worked great - it was quiet dirty. Cleaning it turned two cotton swabs black. Using it, I was able to kill the dragon at the end of Dragon's Lair (SNES). I'm glad I bought it, and I recommend buying from Lukie Games. 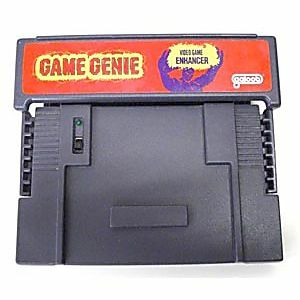 I ordered a game genie through Amazon and received the Camerica version. It didn't work on any of my games. The one I ordered from Lukies was the Galoob version and it works on every one of my games!!!! Thanks Lukie! 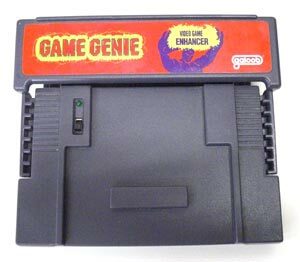 The Game Genie came in great working condition. It's perfect for making near impossible games fun to play. Please continue to stock them, because I plan to pick up a spare. I bought this for my husband he loves it it works like it said it would,he went through 2 others before this. I still have and in great shape the game genie book and game insert. This worked perfectly on the Retron 2. There are some games a friend of mine had never passed in our younger years (and still can't to do this day). The added lives and other changes make the games more realistic, especially for some of the harder titles out there. Worked right out the gate, and I don't have the original snes! The Genie works wonders, just find yourself a site with the codes and you're flying... Sure people think it's cheap to use cheat codes, but they do give novice players a chance to truly understands the controls and the worlds they are inhabiting within their game. The SNES Game Genie is a finicky thing. There are two versions, and it's not easy to tell which is which; Version 1 will have the dashes already there for all four lines of codes whereas in Version 2, they don't appear until you've entered the first four digits of that line. This is important because older Model 1 Super Nintendos work fine with either, but newer Model 1 Super Nintendo's only work with Version 2 - only two lines of codes for Version 1 works. With the Model 2 SNES ("SNES Mini"), Version 1 doesn't work AT ALL, and only two lines of codes works with Version 2. If you have an old SNES, great. I have a Model 2, though, so I'm SOL.